This is part 2 of a series of blog posts describing my trip from Fairbanks Alaska to my great-grandfather's research cabin on Flaxman Island. Part 1 is here. If this seems too TL;DR for you, just full-screen this Flickr slideshow instead. The whole set can be found here - check out map, where I've managed to figure out where most of the pictures were taken. Don't forget to use the arrows near the bottom of the map page to page through the picture sets. We left the White Mountains behind, and started passing over a large flat area called The Yukon Flats. While it wasn't quite as spectacular as the mountainous regions, the colours and shapes of were quite striking. We crossed large rivers and sections of burnt-out forest. 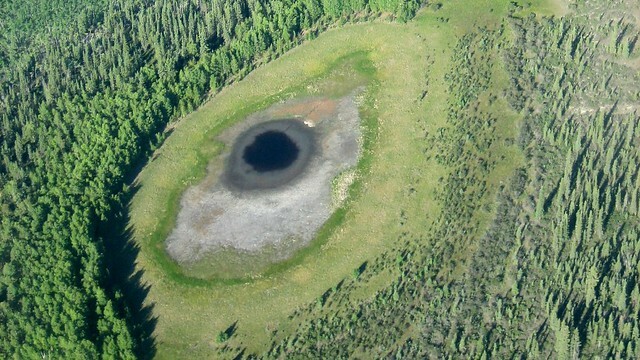 This late in the summer (especially since it had been quite a dry winter) the lakes had shrunk, leaving circles of swampy and grassy land around them - making them look like psychedelic eyeballs. After about an hour, the landscape started getting hilly again. We were getting into the foothills of the Brooks Range. At some point around here we had crossed the Arctic Circle. Some tourist pilots make a big deal of this and 'bump' the plane when it crosses the line - Kirk didn't. 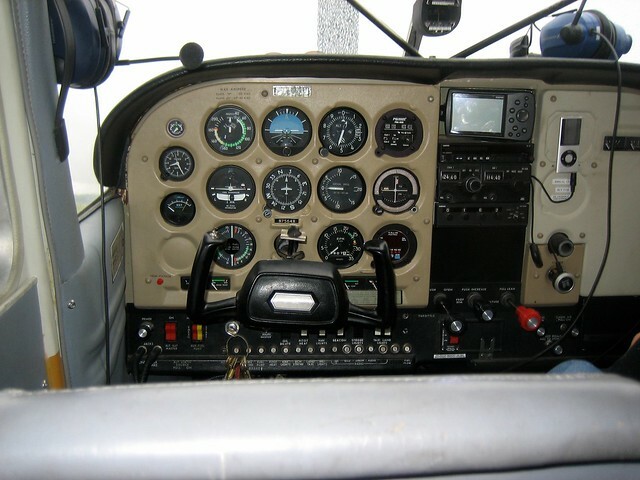 As preparation several months before this trip, I picked up Microsoft Flight Simulator X and tried out the real-world flight training lessons. While many years agoe I had become pretty adept at shooting down Heinkel 111s in my Hawker Hurricane in European Air War, I was embarrassed at how bad I was at even the simulator's "straight and level flight" lesson. (Trim? What's that?!). It was even more humbling to see how a real pilot flew. Click for bigger version on Flickr. 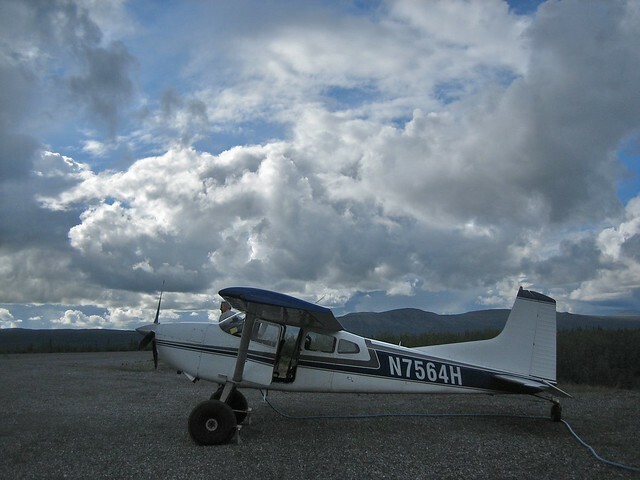 Then we took off again and headed into the mountains of the Brooks Range.